FirstMate Pet Foods - A Safe, Healthy Alternative. 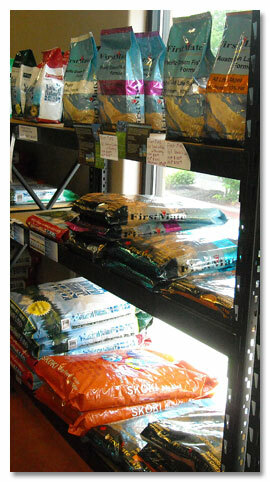 Since 1989, FirstMate has manufactured top quality dog, cat and fish food formulas. 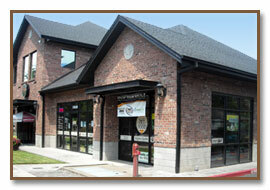 FirstMate is proud to own and operate its own manufacturing facility located in Chilliwack, British Columbia. Operating its own facility gives FirstMate complete product and quality control. The manufacturing facility is regularly inspected and approved by the appropriate government bodies for Canada, the United States and the European Union. 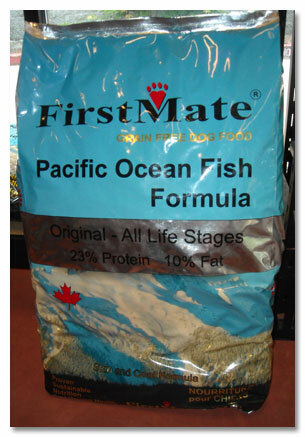 FirstMate was the first company to introduce a Grain Free formula to pet speciality in 1995! The Pacific Ocean Fish (formerly Potato & Fish) diet has since expanded into a variety of life stages. The Grain Free product line now includes the Chicken with Blueberries, Australian Lamb and Fish & Potato with Blueberries (cat) formulas. All FirstMate Grain Free diets provide over 70% of the protein from herring, lamb or chicken. Potato is the only source of carbohydrates in these formulas. The carbohydrate source is grouped into one ingredient category rather than broken up into smaller groupings. Smaller groupings allow carbohydrates to be listed and yet not appear as the first ingredient.